One of our favorite casual tank top in comfortable cotton jersey, the Boxy Tank in the Fish School print is wonderfully draped with a flattering square neck. 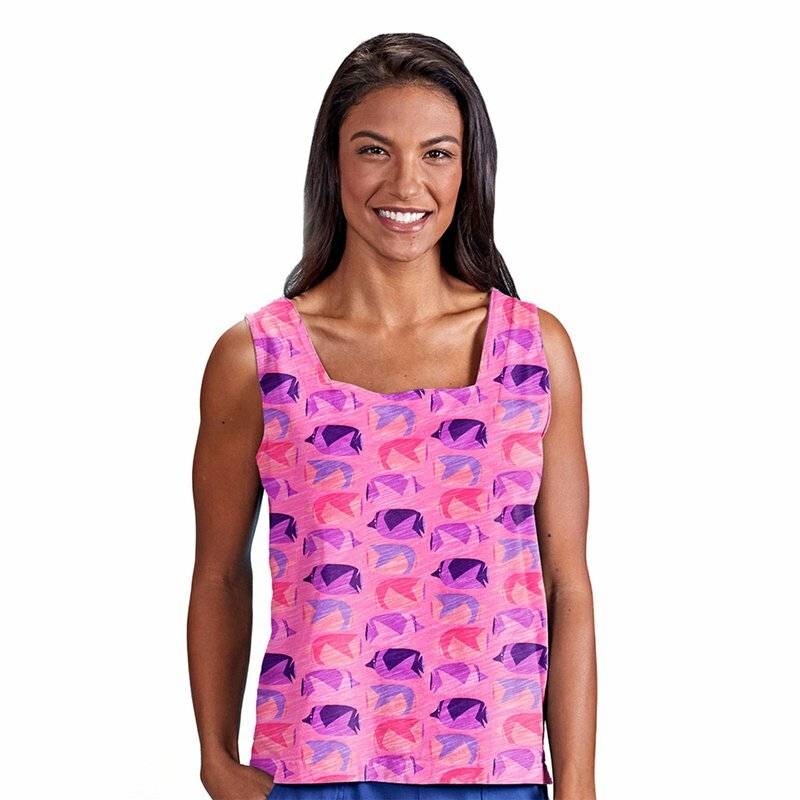 This colorful tank top is great with shorts, skirts, capris, or any other bottom you want to put on for your beach resort wear. 100% cotton. 8 oz. jersey. Made in the USA.